Holy Cross are 2014 Auckland League Open Weight Champions! On the day of the tournament our league team were confident going into the Auckland championship after winning a tough tournament a week before we came to Auckland championship.The only thing that we weren’t sure about was the weather. It was freezing cold and as slippery as ice. We won the first game against Konini School and then it started to pouring hard and we drew our second game with Rongomai Primary, hoping to win the next game. We had some lunch warmed up and won the next game against Richmond Road Primary. We played the same team we played last and won again. The league tournament was a big challenge for us boys who were representing Holy Cross Catholic School, Some games were tough, some were stress-free, although a few times us boys didn’t focus on the game plan at different times. Some of our players got injured during our games at the tournament, but we managed to pull off the win in the final at 3-1, with one of the big boys in Favona Primary scoring and one of the boys in our team Adam Tamati scoring just before halftime had ended. Then Ethan Collins scored a decisive try towards the end of the second half. Just before the game had ended Braydon Seu-Easthope scored to finish off. When the siren rang we knew that we had won, so we celebrated with joy. 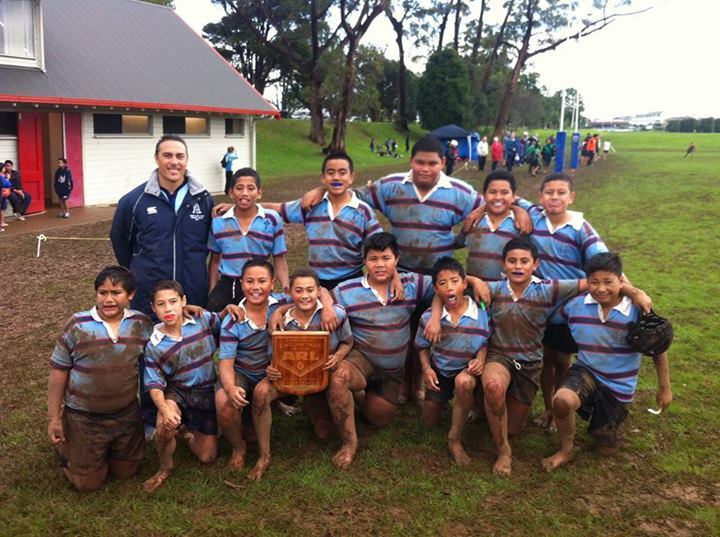 It was also an honour returning the shield back to Holy Cross Papatoetoe.